If you’ve ever been asked to shut up, you probably are familiar with the phrase “stick/shove/stuff/put a cork in it.” Now there’s a radio concept which wants you to do just that. 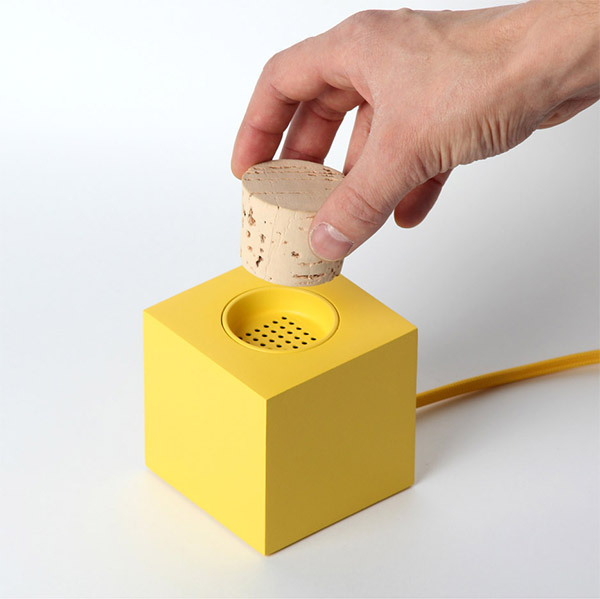 Designed by Skrekkøgle, the PLUGG radio is a basic digital radio with one unique feature – it’s turned off by shoving a cork into it, and removing the cork turns it on. I assume you’ll still need to use normal controls for changing volume or stations, but the cork power switch is pretty clever. That is, until you lose the cork.